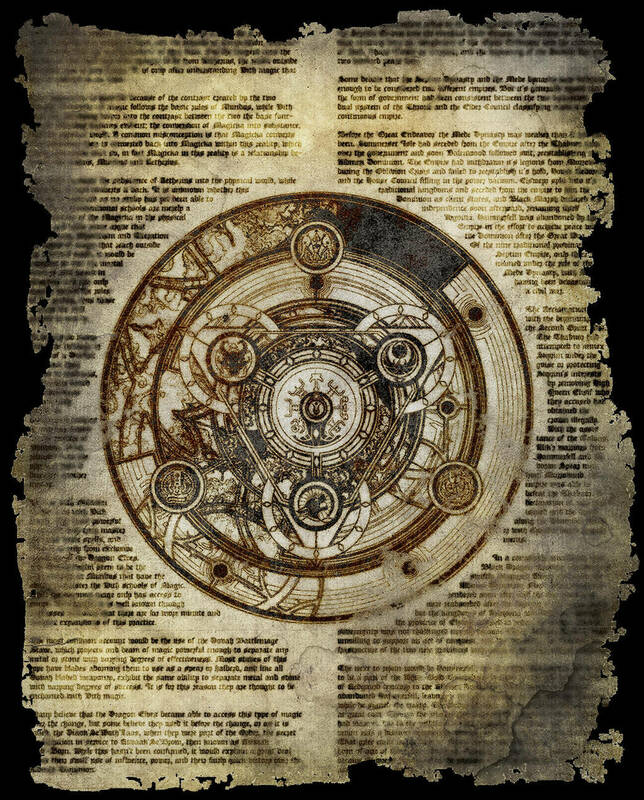 In Game First, Story Later, my good friend SilenceofAutumn explains how The Elder Scrolls is, as the title suggests, a video game first and foremost, and a work of literary fiction after the fact. I could not disagree more; I think that by creating a dichotomy between “game” and “story,” we are essentially separating limb from body – an unwholesome endeavor, be it figurative or literal. In fact, I’d venture to say that distancing the two misses the point. All forms of media, be they video games, novels, TV shows, movies, or comic books fall under a singular umbrella, and that umbrella is storytelling. Since fire has been among the lexicon of human technologies, people have told stories around it. Telling stories is a foundation of our society, of our social progress as a species, and because of that, it is one of the fundamental parts of being human. The story and medium are inseparable, and this is true of nearly any artform. No, to look at the two as a dichotomy, as two opposite ends of a spectrum is an exercise in futility. But what’s the real point we ought to be discussing? Allow me to explain. When a fictional world is created, be it Westeros, Arda, Narnia, or Nirn, the confines of our imaginations have no boundaries. We always start with an idea, and when we set out to create a manifestation of our idea, we have a certain untapped creation within our minds. The embryo of potential, as it were. The fact that The Elder Scrolls is a video game series doesn’t mean this imaginary world doesn’t exist within someone’s mind. It’s not a screenprinting press, transferring ideas from one to the other. Creating something like a video game simply nudges the door open to give the rest of us the meanest glimpse at what that world might truly be like in the infinite expanse of the creative brain. Instead we’re given a proverbial ship-in-a-bottle, or a volcano science project – mere representations of the object in question, described in miniature or in simplistic, watered-down ways. In diorama. The point here is that there’s an imaginative ideal floating around in someone’s head, and that is the story and world we should be discussing, not whether game mechanics and representations are the end goal. A fictional world transcends people, companies, video games, and novels. 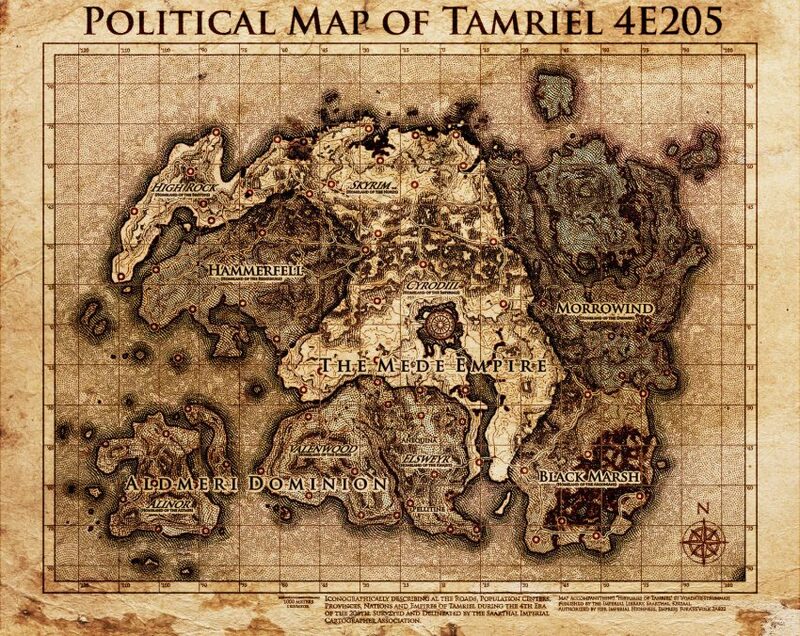 Ideally, and in people’s imaginations, places like Tamriel are just as complex and detailed as our lives here on Earth. It takes on its own life in a rhetorical, suppositional way. It’s abstract, yet strangely material. What if this world were real? How detailed would it be? Would The Imperial City really meet the expanse of a decently-sized shopping mall? Would Ald’ruhn truly have a grand total of 24 homes? I’m thinking probably not. No, video games cannot hope to explore the breadth and detail of a fictional world the way novels can, and novels cannot dream of being as interactive as video games are. However I see that more the limitations inherent to the media therein, less the problem of the fictional world itself. The games (and even the novels) are mere representations of the “true” Tamriel – dioramas of the imaginary ideal that we can’t hope to express with any degree of perfect accuracy. You can’t hope to fit the entire ocean in a single glass. You can take part of it and show it to people, but to say that what’s contained within the glass is the ocean is simply absurd. It is with this idea in mind that, while we can acknowledge the glass and its contents, we can still wade into the ocean, dipping our feet into ideas hitherto unrepresented. SilenceofAutumn makes the point that Bethesda’s aim as a company is to make money, and if they attempted to display a truly believable and detailed reality much closer to our own, they would not garner a continually refreshing fanbase, simply out of the fact that they would certainly hemorrhage money in trying to reach for what is certainly impossible. Specifically, Silence also cites the “darker” aspects of Elder Scrolls lore, suggesting that even if they were truer to the lore represented, it wouldn’t do much to entice newer audiences. To that, I respond that it doesn’t seem to hurt Dark Souls a whole bunch, and that the “darkness” of a world doesn’t have any weight on the popularity of a franchise, but that’s neither here nor there. Fiction is… complicated. Not only does the perfect, imaginary, ideal world persist in the mind of the creator, but it has a way of multiplying itself. Anyone who understands the scholarly definition of “meme” knows that ideas are like viruses, and they have a tendency to infect. The “better” an idea is, the better it survives by passing from one host to the next. “Hey, man, check this out.” This ideal of Tamriel? This is one such idea-virus. We all have a version of this ideal in our own minds, and like any virus, it’ll mutate every now and again. My idea of what Tamriel truly is is not the same as yours, even though the two different strains originate from the same host. The fact of the matter here is that if Bethesda dissolved or was liquidated and went out of business, The Elder Scrolls wouldn’t disappear with it. The virus lives on even if its progenitor dies. People would continue writing their fanfictions or creating mods for the existing games, because there’s a kernel of that ideal world they can only glimpse in their mind’s eye that they are able to express through these media. As I mentioned before, an abstract idea like Tamriel transcends companies and people and becomes its own thing, regardless who owns the copyright or who gets paid for what. Despite my friend’s good intentions, I think he makes the mistake of starting from his conclusion. He is starting from the premise that The Elder Scrolls is a game, and therefore everything else must flow from that fact. Games need this and they need that, and that’s why it’s a game first, and I think that’s keeping things far too confined in the realm of the material, not to mention being logically circular. While Silence is thinking about The Elder Scrolls as a franchise, I’m thinking of “The Elder Scrolls Universe” the idea. In the very early days of Tamriel’s existence as a brain-embryo, it was a homebrewed tabletop roleplaying game that the developers eventually adapted into the game Arena. Not much information is publicly available about this Dungeons & Dragons homebrew, but the fact that it has its origins in a collective storytelling medium should be a huge indicator as to The Elder Scrolls’ position as a piece of fiction. Tabletop roleplaying and literature have always gone hand-in-hand, as both paint a picture in the mind’s eye – both infect us with their memes. Much to the chagrin of many on the r/teslore subreddit (and other subreddits I shan’t name), I have a reputation surrounding my stance on canon, and the argument I’ve been faced with time and again falls back on the ownership of “intellectual property.” My response, to much ire, is that intellectual property doesn’t actually give an entity ownership of an idea. Ideas are abstract, and you can as much own an idea as you can literally eat happiness or drink justice. It simply isn’t possible. They are intangible and quite literally imaginary, and to own something implies that the thing in question is finite and therefore adheres to economic laws such as supply and demand. Referring back to Silence’s starting point in that The Elder Scrolls is a franchise first, I suggest that the franchise pales in comparison to the de facto nature of a fictional world to begin with. And that is how it misses the point – it isn’t about “story versus game,” it’s about franchise to the ends of making a profit versus the free-for-all expression of abstract fictions and ideas. Love this piece, I couldn’t agree more.